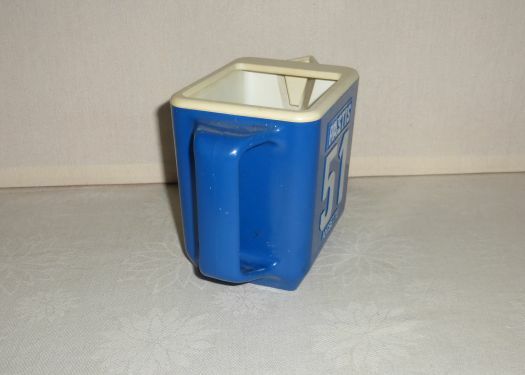 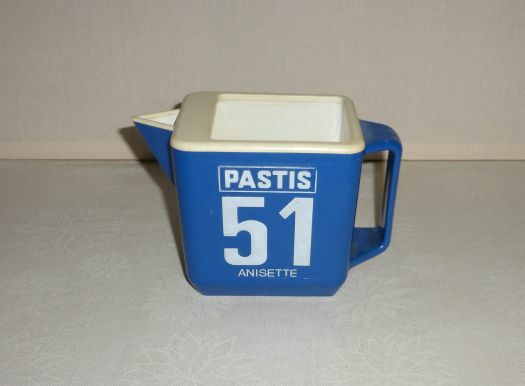 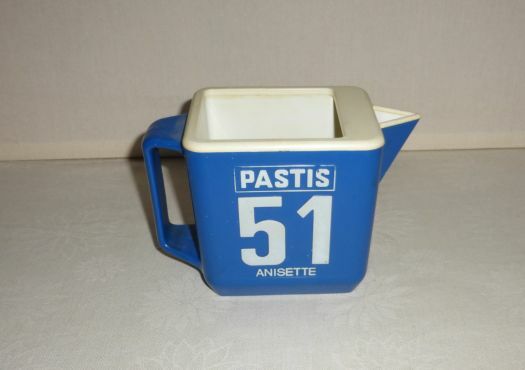 Pitcher for water in hard plastic for mark Pastis 51, with a beak which let flow water but keeps ice cubes. 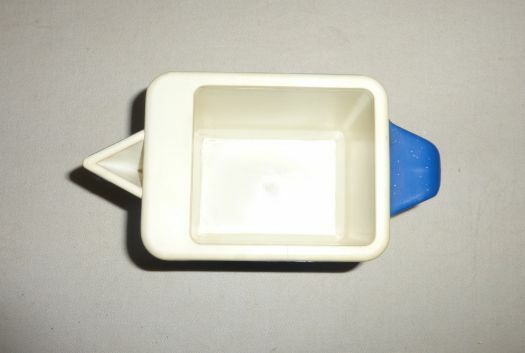 Height 13,5 cm ; width 20 cm. 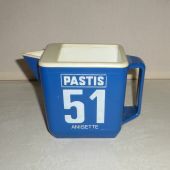 For your french bistrot corner or for drinking in garden.